IRS regulations require that gifts exceeding $400 be processed as taxable compensation. Therefore, unit heads must ensure that the total of all University purchased gifts, whether funded by the department or centrally, do not exceed a total value of $400. Human Resources will notify respective Vice President of any upcoming retirements so that the gifts can be ordered. For those units reporting to the President, the President’s Office should be notified for the purchase of the gifts. Human Resources will confirm eligible years of service with respective Vice President prior to ordering any gifts. Years of service is based on years at A&M University‐Corpus Christi, not other System or state service. The respective Vice President or the President will order the gifts and where applicable, complete the paver request form. New retirees will be recognized at the annual retiree luncheon. Retirees who are eligible for a paver will be presented with a paver certificate at the annual retiree luncheon. All retirees will be presented with a retiree pin. Other retirement gifts should be given to the retiree at the time of his/her retirement by the employing department. All retirement gifts (with the exception of the pavers) will be available for purchase at our University bookstore. 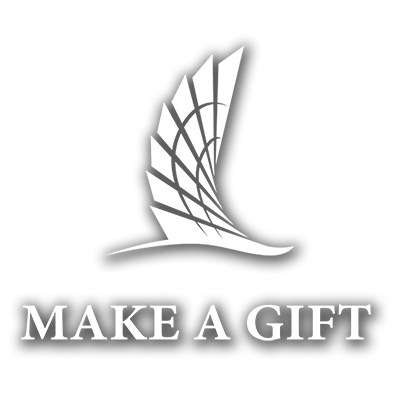 While it is the bookstore’s intention to keep items in stock, please let them know as soon as you become aware of an employee retirement to ensure that gift(s) will be available at time of reception. The paver request form can be found on the Student Foundation web page or at the following web link Retiree Paver Order Form. Please note that the delivery time for the paver is 10‐12 weeks. Pavers will be placed in the Science and Engineering Plaza, which is located between University Center and the Engineering Building. 5‐14 years Employee is not entitled for University funded gift. Department may use non‐state funds to purchase a departing gift with a dollar amount not to exceed $100. Gift cards are not allowed. 15‐19 years Employee is entitled to University‐funded gifts, which includes a 4”x 8” commemorative paver (inscribed with employee name and years of service) as well as a set of pewter coasters. Department may purchase an additional retirement gift with a dollar amount not to exceed $100 using non‐state funds. Gift cards are not allowed. 20‐24 years Employee is entitled to University‐funded gifts, which includes a commemorative paver (inscribed with employee name and years of service) as well as a pewter plate (inscribed with the University seal). Department may purchase an additional retirement gift with a dollar amount not to exceed $100 using non‐state funds. Gift cards are not allowed. 25+ years Employee is entitled to University‐funded gifts, which includes a commemorative paver (inscribed with employee name and years of service) as well as a choice of wall clock or a watch. Department may purchase an additional retirement gift with a dollar amount not to exceed $100 using non‐state funds. Gift cards are not allowed.